Everywhere you look there is zombies but what if your feline friend was a zombie, what would you do then? 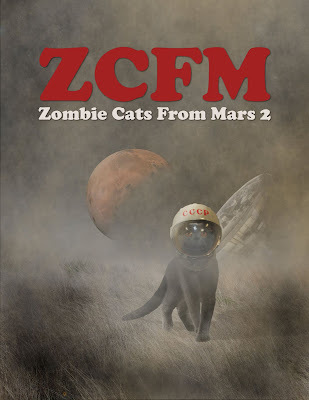 2015 coughed up the fur ball that was ZOMBIE CATS FROM MARS and the prequel to that movie is in production. Its not going to be easy to control this cast but the filmmakers are currently seeking funding for the next round of filming of several key scenes - primarily the Soviet Space Lab scenes. Of course there is some perks available to those who donate to the cause which include: shout outs on social media, DVD copy of the film, Blu-ray copy of the film, tickets to the premiere of the film and many more! Still not sure then why not check out the first film ZOMBIE CATS FROM MARS (2015).